My recent revelation of love for L’Artisan Parfumeur and Bertrand Duchaufour’s creations sort of crept up on me when I wasn’t looking. First I had one bottle, then two, then before I knew it I had five. I don’t know exactly what it is about each that I love, perhaps it’s because they are all unique interpretations of more familiar genres, or maybe I just like them because they smell amazing. Both Séville à L’Aube and Al Oudh are the latest additions to the Bertrand section of my L’Artisan collection and I love them both for being unusual yet awesome takes on their respective genres. They also show Bertrand Duchaufour at his best – just when you think he can’t have another success these two little beauties come along. I acquired my bottle of Nuit de Tubéreuse because I was sick and tired of not being able to understand this weird little tuberose that kept sending my nose running after it, trying to find out what makes it tick. Having run my sample dry I picked up a partial bottle on a fragrance board and it is probably one of my better decisions. Since having it I have learned that it is one of the all time best tuberoses. No mean feat considering the competition! Havana Vanille (now known as Vanille Absolument) and Traversée du Bosphore have two things in common. Firstly; they were the first two L’Artisans I owned and secondly; they both completed my search for the ‘perfect’ example of a particular type of scent. For years I have been searching for the perfect vanilla and perfect turkish delight scents, luckily I have found them in these two addictive fragrances. Dzing! had been a lemming of mine before I finally took the plunge and bought a bottle. I’ve always struggled with leather and this weird circus-leather had always interested me, but it took an entire evening of being immersed in the world of leather fragrances for me to really appreciate just how unusual and wonderful Dzing! is. Olivia Giacobetti and L’Artisan concoted Dzing! in 1999 and I’m not quite sure what they were ‘on’ when they were making it that made them think that leather, elephant dung, cardboard, sawdust and candy floss would be a good idea, but I’m ever so glad that they were brave enough not only to bottle this stuff and sell it, but to keep it going for so long. I first tried Amaranthine back in 2008 at a sneak preview on a Basenotes day trip to London. Well, of course I fell for it hook, line & sinker and unfortunately for me (and others there) we had to wait a few agonising months before it was released and we could purchase it (definitely a “shut up and take my money” moment). Gosh those months were hard. Amaranthine was an important fragrance for Penhaligon’s, it was very much the game changer that saw a shift in the house from offering more traditional, nay old fashioned fragrances, to more contemporary and forward thinking compositions. They describe it as a “corrupted floral” and that’s a perfect description; I see it as the good girl gone bad, the pretty white floral who has met that rogue boy (or boys) and is having a whale of a (filthy) time. I need to review this one too! Images my own, apols for the awful quality! Posted in L'Artisan Parfumeur, Penhaligon's, Postcards From My Collection and tagged Al Oudh, Amaranthine, Bertrand Duchaufour, Dzing!, Havana Vanille, L'Artisan Parfumeur, Nuit de Tubéreuse, Penhaligon's, Perfume, Postcards From My Collection, Séville à L'Aube, Traversée du Bosphore, Vanille Absolument. Bookmark the permalink. Lovely! Amaranthine is a beauty! I recently discovered Penhaligon’s house and I really like Eau Sans Pareil, Quercus, Extract of Limes, and there are also samples of Lavandula, Blenheim Bouquet and Opus 1870 on their way to me. It’s a good line, but I must admit that I like their things post-Amaranthine such as; Sartorial, Eau Sans Pareil, Extract of Limes and Juniper Sling. Isn’t Eau Sans Pareil great? Lovely for summer. Still got to try the Juniper Sling. Juniper Sling is even better for summer! I really have to try NdT properly now 😀 You’ve convinced me. Amaranthine impressed me on first sniff, that’s something else I gotta try again. Nice work dude – you have a lovely little collection there. I’m amazed you’ve worked through so much of Seville A L’Aube already – you really liking it then? It reallllly didn’t work with me. It’s weird. I had been looking for a nice rosy turkish delight for years and every one I tried was just an awful cherryied, syrupy mess. Traversée du Bosphore captures the perfect rose, apple and pistachio turkish elight with some smoke and suede thrown in for good measure. Well, at least you’re enjoying Seville 🙂 I wish I could as much – I’ll hunt down a sample and give it a few more wearings. It might be a grower, who knows! Are you a fan of Dzing! btw? I would have thought it was something you liked. Yup! Haha. I prefer CO – it still has a smidge of barnyard leather (but not quite the stuffy gorgeous elephant enclosure of Dzing!) but the drydown is just to die for – whereas with Dzing! the drydown gets more boring for me 😦 I do love that start though. Funnily enough I do think the same about Dzing! I prefer the opening much more to the dry down for sure. Oh I am looking forward to your Amaranthine review – it is one of my absolute favourites! 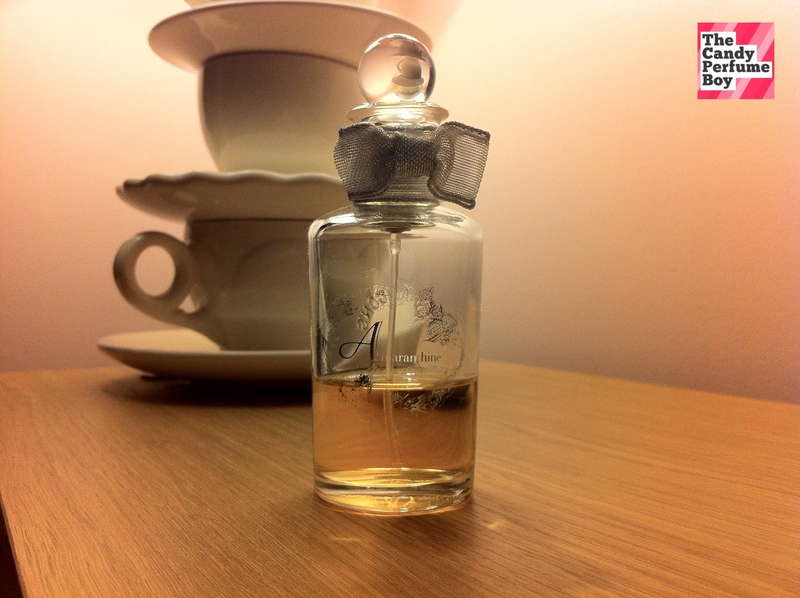 I also think it is the scent that firmly established Betrand Duchaufour as my favourite perfumer. He’s pretty awesome isn’t he? I love Amaranthine, it’s not like anything else out there. As is Nuit de Tubéreuse but I admit that it’s a little bit difficult to figure out. First I must correct you. The aim of the Postcards From Collection series is for us to rub our hands together with glee, salivate and indulge in unrestrained fragrance voyeurism. Lovely instalment! Really enjoyed it. Great tea-cups too. BD absolutely does create unique takes on established genres. Oh, and you must review that filthy milkmaid! lol I need to get my head round that one. Haha – I’m all for some unrestrained fragrance voyeurism! I do love seeing people’s collections, sooo much fun. Amaranthine is the only Penhaligon’s I’ve tried, and unfortunately it did NOT like my skin at all, which is somewhat par for the course for many florals. However, it smells amazing on my real-life EST, Tam. She’s very handy to have around so I can smell how something that goes sour on me is supposed to smell. 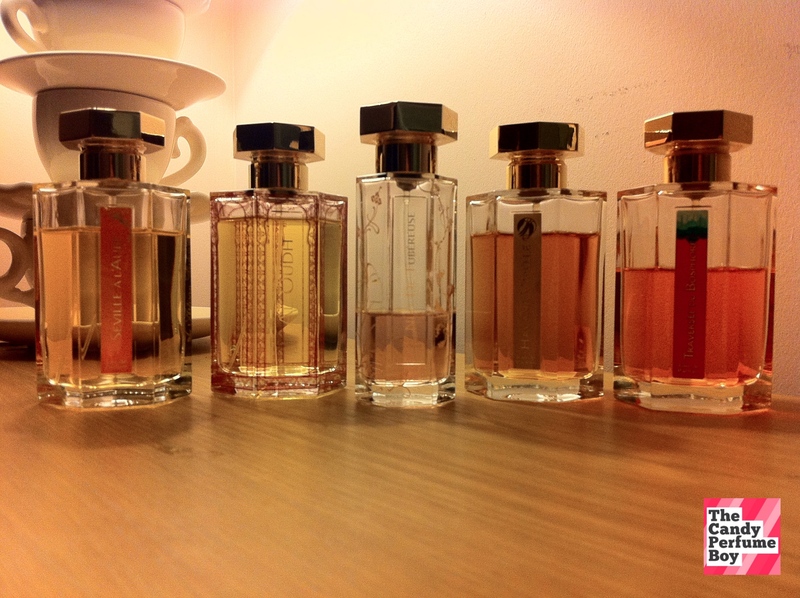 As far as L’Artisan, I’ve only tried 4 from the line, but own two decants (Mimosa pour Moi and Tea for Two). Since a 50% hit rate is really impressive for my skin, I plan on investigating the line more fully, likely this next winter after my coming incense binge. It’s always handy to have a friend with you to compare how things go when sniffing. It’s a shame that Amaranthine didn’t work on you, but I can see why it has the potential to go sour, it has a really strong ‘condensed milk’ vibe going on. Tea for Two is awesome! I snubbed the L’Artisan line for so long (it wasn’t readily available here for a few years) and now I’m well and truly hooked! However as much as I luv my ‘vanillas’ when it comes to HV, I just don’t get on with it at all unfortunately. I find it far too unnecessarily ‘soapy’ (for it’s ‘theme’) which rather ruins it for me. Also I just find it rather lacking in both it’s “vanilla-ness” and it’s “Havana-ness”. – It’s not that I think it’s a bad frag’ or anything, rather that I just much prefer others in this “boozy/vanilla” theme. (I think maybe it’s just because I expected it to be much ‘richer’). I also luv the work he’s done for the Eau d’Italie line. Stunning compositions ! For me Havana Vanille feels like the ultimate vanilla because everything in it has vanillic facets that are connected together. Gorgeous stuff.